Using IS-2062, Grade A, En-8, En-19, SS-410, SS-304, SS-316 or any other material specified by customer. As per IS-1367 Class 5.6, Class 8.8, Class 10.9, ASTM A 193 B7, B8, B8M, A2-70, A4-70, A4-80. Full / Half Thread Allen Bolts as per IS-2269. 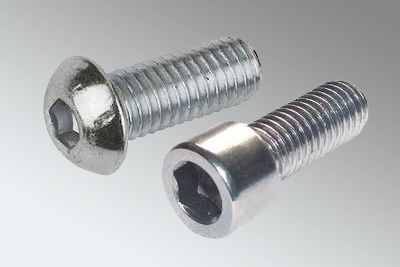 Other Allen Bolts as per customer’s requirement.